Da-Lite will release a magnetic and erasable projection screen solution that is optimized for use with SMART LightRaise interactive projectors. LightRaise interactive projectors are wall-mounted, ultra-short throw projectors that transform a dry-erase projection screen into an interactive surface without the need for additional hardware. LightRaise interactive projectors enable multiple users to simultaneously write, draw and manipulate content using a finger or an interactive pen. The interactive touch experience of LightRaise interactive projectors relies on the uniformity of the projected surface. For optimal touch performance, the surface must be flat and free from surface obstructions. The new Da-Lite IDEA Screen meets the recommended surface criteria for the LightRaise 60wi & 60wi2 interactive projectors and exceeds the surface flatness requirements. Additionally, the Da-Lite IDEA Screen, an erasable and magnetic projection screen, has been uniquely designed to match the native 16:10 resolution of the projector providing a natural, full-screen image. The Da-Lite screen solution is ultra-short throw projector friendly, offering a crisp, colorful projected image with significantly reduced glare or hotspotting effects. The screen construction is optimized for smooth, natural motion and low resistance with either touch or pen interactivity when the LightRaise system is in use. The IDEA magnetic surface design provides a consistent and high quality projected interactive experience throughout the life of the installation. 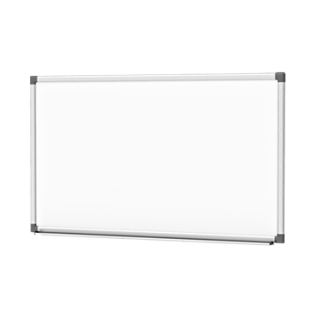 Da-Lite combines the strength and rigidity of a traditional whiteboard with superior projected image expertise to make this screen solution an ideal pairing for the SMART LightRaise projector line.